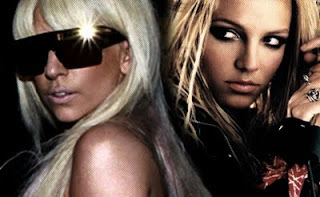 Diva Devotee: Lady Gaga/ Britney Spears mashup: "Hold It Against Me" Vs "Scheiße"
Lady Gaga/ Britney Spears mashup: "Hold It Against Me" Vs "Scheiße"
The first Divadevotee produced mash-up created entirely on the free software, Audacity. There are problems with the sound quality, volume, the pitch and speed of parts, and it has an overall unpolished smear about it, but I don't think it's too shabby for a first attempt! This mash-up contains the backing track of the Lady Gaga song Scheiße- which I love- combined with the vocals from Britney Spears' Billboard number one hit Hold it against me. The dubstep breakdown at the end is taken from the Femme Fatale Megamix- posted here. Like Mash-ups? Click here for more!